The Kids Behind The Blog post!! It is a monthly link up where we ask our kiddos a few questions and see what their response will be! Since it is Summer all questions are geared toward Sweet Summer Time!! 1. What 2 things do you like to do outside in the Summer? Ian// Playing golf and swimming! Ella// Swimming and being on the boat! 2. If you could go ANYWHERE this Summer where would it be and why? 4. If you could pick ANYWHERE to spend a HOT summer day, how would you spend it? What a fun link up! This will be great to look back on as they get older! 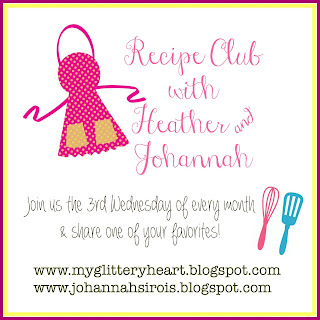 Don't forget that Johannah and I's next Recipe Club link up is NEXT Wednesday, July 20th! Ohhhh I went to Lake Lanier in college - SO FUN!!! I am with Ella!! Sounds like on the water is their happy place! Disney & The Masters (although maybe a little warmer than it was in April) both seem like great destinations. I'm in! Love all the answers!!!! My friend and her husband went to the masters this year as well, and they had so much fun!! Love this!! What a fun blogging topic!